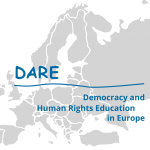 The DARE BLUE LINES publication “EDC for All” comprises experiences and key findings from the project “EDC for All – qualifying and mainstreaming Education for Democratic Citizenship within Europe”. new educational easy accessible games on the concepts of justice and inclusion have been created, published and tested extensively within the project: JA!Do – a dice game and S*intro – a card game. peer visits to and reviews of places of EDC with young people in Europa and Germany have helped to contribute for a strategy development for the creation of an EDC youth centre in the municipality of Sintra/PT. The DARE Blue Lines ” EDC for All” takes stock on the projects effects in relation to European EDC and youth policies and gives concrete recommendations based on the results gained. 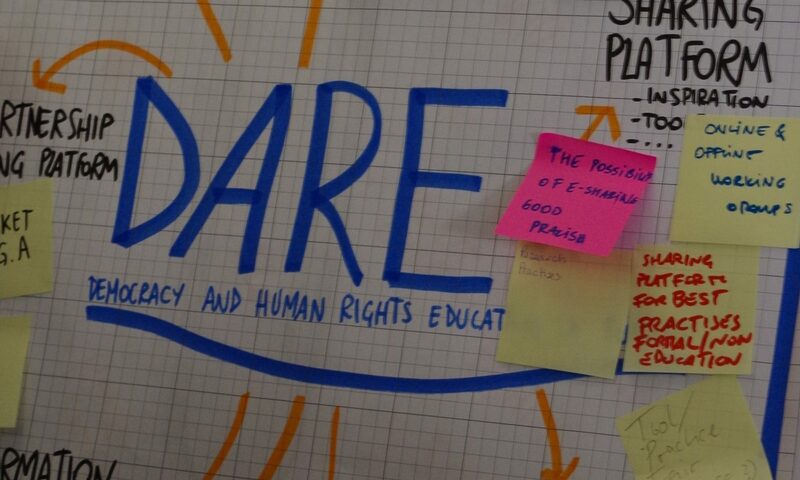 DARE BLUE LINES are a series of reports on EDC issues affecting the world of formal and non-formal education. They are free to further use and aim to feed the discourse on EDC/HRE from a non formal educational perspective.